Tom Dillmann will make his FIA World Endurance Championship debut next weekend, with the open-wheel ace confirmed at Signatech Alpine for the final two rounds of the season. 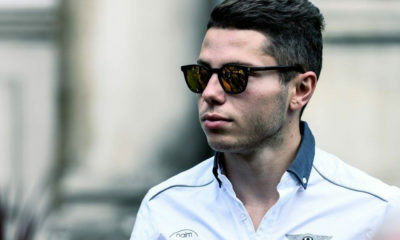 The 26-year-old Frenchman takes the seat of Vincent Capillaire, who only had a six-race contract with the LMP2 squad. Dillmann, a race-winner in GP3 competition, will team with countrymen Nelson Panciatici and Pierre Ragues in the Alpine A450b Nissan. Shanghai will not mark Dillmann’s sports car debut, however, as he’s taken part in several GT3 races with Bentley Team HTP this year.